Spirulina is a blue-green algae, which is a freshwater plant. It is one of the most researched plants in the recent times. Renowned for its intense flavor, spirulina is gaining popularity for its powerful nutrition profile and benefits. Read on to know more about the benefits of spirulina. How Is Spirulina Good For You? What Is The Nutritional Profile Of Spirulina? This blue-green algae has an intense earthy taste and smell, and it can be good for you in various ways. Studies confirm that spirulina can activate macrophages, natural killer cells, and other B and T cells – all of which possess antioxidant properties. More interestingly, research shows that algae exert beneficial effects on the neurological health (1). There also is evidence that shows how spirulina can help in the prevention of chronic diseases like diabetes, cancer, and even asthma (2). There is more you need to know. Just keep reading. Chronic arsenic poisoning is a problem most countries face – especially the US in the west, and Bangladesh and India in the east. But studies showed how spirulina extracts helped reverse arsenic poisoning (3). And as per Bangladeshi researchers, a lack of specific treatment has lead to the evaluation of alternative treatments like blue-green algae. 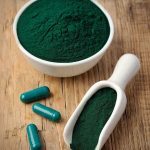 In yet another study, patients affected by chronic arsenic poisoning saw a 47% decrease in the heavy metal in their body post the intake of spirulina. The antioxidants in spirulina prevent oxidative stress, which is one primary cause of cancer. Even laboratory tests have shown that blue-green algae have the ability to prevent DNA mutations (4). Further studies support the chemopreventive role of spirulina (5). Spirulina also increases the production of antibodies, certain infection-fighting proteins, and other cells that improve immunity and prevent cancer. There have been cases where spirulina had outperformed diabetes drugs like Metformin (6). In a study on 25 patients with type 2 diabetes, spirulina ingestion led to drastic improvements in the symptoms (7). 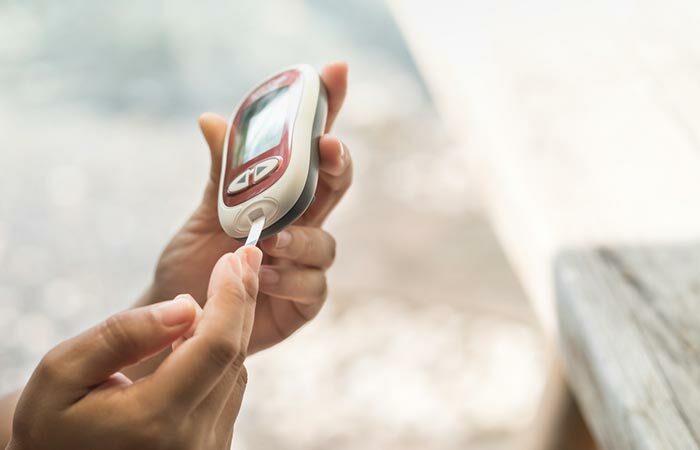 Other studies on diabetic animals showed that a combination of spirulina and other herbal extracts decreased the blood glucose and triglyceride levels. And not just that, spirulina was also found to be effective in improving the lipid profiles of patients with type 2 diabetes. The name spirulina is derived from the Latin word for ‘helix’ or ‘spiral’, and it denotes the physical structure of the organism. Spirulina can decrease inflammation in the brain. This means that it can be an effective complementary treatment for Parkinson’s disease, which is caused by swelling and inflammation in the brain. The blue-green algae can also prevent memory loss by reducing oxidative stress in the brain. Spirulina has also been found to improve neuronal density through the formation of new neurons (the process is called neurogenesis). Some sources suggest that it can also aid the treatment of Alzheimer’s. The blue-green algae can lower bad cholesterol levels, and this invariably improves heart health. At the same time, spirulina can also increase the good cholesterol, which is again required for a healthy heart. Studies showed that 4.5 grams of spirulina a day could lower blood pressure levels – which could be attributed to an increased production of nitric oxide that helps the blood vessels to relax and dilate (8). Spirulina supplementation was also found to prevent atherosclerosis and the resultant stroke (9). Several animal studies have shown that spirulina can be an effective immunomodulator (10). It has a unique ability to fight infection and enhance cellular functioning. Spirulina is dense in protein, and foods rich in this nutrient can promote weight loss through certain mechanisms. Consuming protein contributes to fat burning and the development of lean tissue. Protein also curbs hunger, which is another way one can aim to lose weight (11). Spirulina is also low in calories, which is another plus for anyone looking to lose weight. The protein in spirulina supports healthy digestion. The body reassembles the amino acids that spirulina provides into digestive enzymes, and this further helps digestion. The main active component of spirulina is phycocyanin, which has been found to prevent the production of inflammatory signaling molecules – and this means the blue-green algae helps fight inflammation (12). Spirulina is also a good source of GLA, or gamma-linolenic acid, which also contributes to the anti-inflammatory properties of the algae. It was also found to be effective against arthritis. In one study, treatment with spirulina had protected against cartilage destruction and also reduced other inflammatory markers (13). Studies show that spirulina supplementation can help deal with HIV symptoms (14). However, we need more research in this aspect. There are several studies that show how spirulina can be an effective antimicrobial agent (15). Spirulina also encourages the growth of healthy bacteria in the gut, which can prevent candida from thriving. Its immune-boosting properties can also help the body eliminate candida. The antioxidants in spirulina help the body fight free radicals and flush out toxins, which can have a direct impact on skin health as well. The blue-green algae also improve skin metabolism. This promotes the quicker elimination of dead skin cells and the growth of new skin cells. 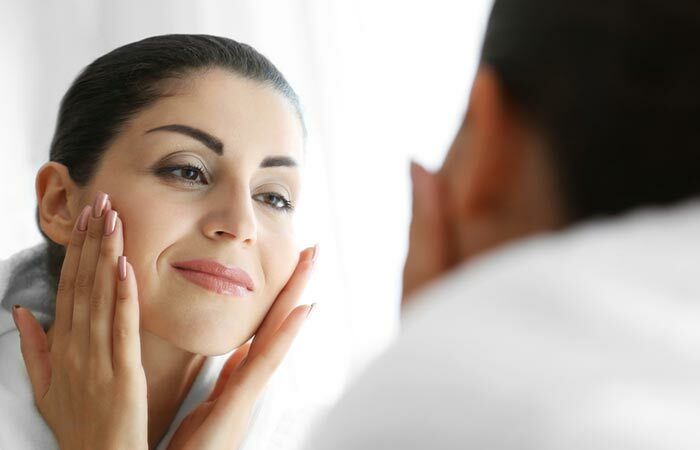 Faster skin metabolism can also prevent acne scarring. 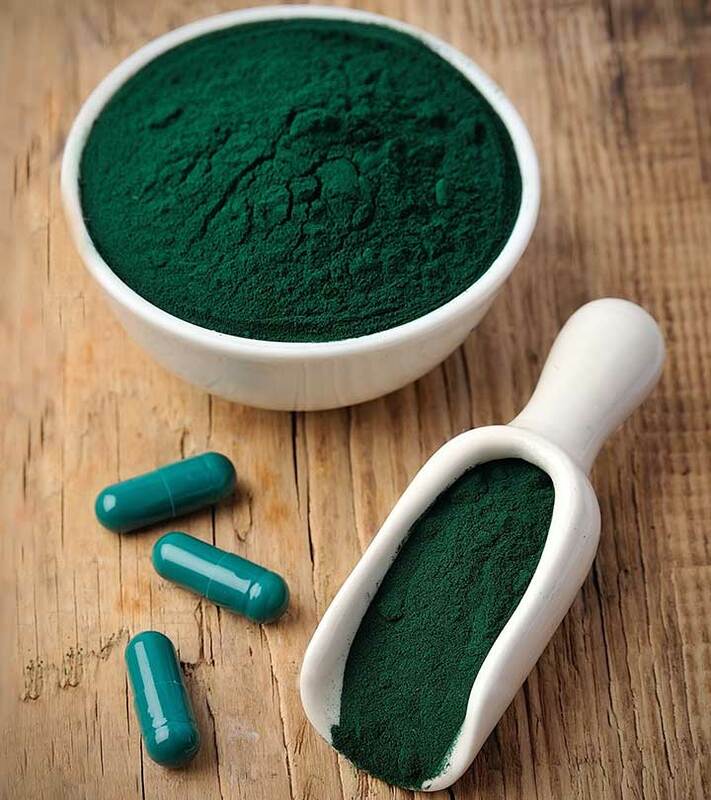 Spirulina is also called ‘food of the future’ for its ability to synthesize high-quality concentrated food better and more efficiently than any other algae. Spirulina contains tyrosine, vitamin E or tocopherol, and selenium, all of which are known for their anti-aging effects. Tyrosine slows down the aging of the skin cells. The antioxidants present in it eliminate the free radicals that are responsible for skin aging. Make a paste by mixing some spirulina with water and apply it on your face. Keep it on for 20 minutes and wash off. This will make your skin amazingly soft and smooth as well as prevent signs of aging like wrinkles. This mask can also aid skin lightening and help treat skin pigmentation. External use of spirulina can accelerate hair growth. Besides consumption, this algae is used as an ingredient in shampoos and conditioning treatments. The proteins in spirulina can also reduce hair fall and hair thinning. These are the benefits of spirulina. We spoke of a few nutrients in the algae. But it has got several more that you must know of. All good. But how can you consume spirulina? You can either take the tablets or the powder. Here, we have discussed the dosage and the method of consumption for each. For adults, the dosage is 6 to 10 tablets a day. And for children, it is 1 to 3 tablets a day. Start with 1 tablet a day for the first 2 days. Then, take 2 tablets a day for the next 2 days. Continue with 3 tablets a day for the next 2 days, etc. – until you reach your ideal dosage. Take the tablets with water, just before you have your meals. You can take the dose all at once or split it across the day. Just ensure not take any in the evenings as you might feel active in the night and not fall asleep. The dosage of the powder is half to 1 teaspoon daily. This can equate to 1.8 to 3 grams of the powder. Similar to the tablets, if you are just starting to take spirulina, start with a pinch and gradually build up to the dose. There is a reason it is one of the most researched plants today. The benefits speak for themselves. So, make sure you include spirulina in your diet. You can get it from your nearest health store. Or you can also purchase it online at Amazon or Walmart. 1. “Neuroprotective effect of…”. US National Library of Medicine. 2. “Effects of spirulina consumption on body weight…”. European Review for Medical and Pharmacological Sciences. 3. “Efficacy of spirulina extract…”. US National Library of Medicine. 4. “Blue-green algae”. Memorial Sloan Kettering Cancer Center. 5. “Anti-cancer effects of blue-green…”. US National Library of Medicine. 6. 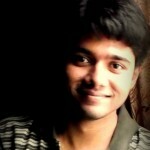 “Antidiabetic potential of…”. US National Library of Medicine. 7. “Role of spirulina in the…”. US National Library of Medicine. 8. “The hypolipidaemic effects of…”. US National Library of Medicine. 9. “Spirulina prevents atherosclerosis…”. US National Library of Medicine. 10. “UC Davis study shows spirulina…”. UCDAVIS Health. 11. “High-protein meals may help…”. Reuters. 12. “Anti-inflammatory and…”. US National Library of Medicine. 13. “Inhibitory effects of…”. US National Library of Medicine. 14. “Impact of daily supplementation of…”. US National Library of Medicine.